...he who excels all others in that part of the art, deserves the greatest praise. You've heard Bill say this in many of his videos. "You are the leader of light." What, exactly, did he mean? Bill knew that the most important element in any painting was how you portrayed light. Before Bill painted, he always asked himself one question. "Where is the light coming from?" Bill explains why this question is so important in the video below. Leonardo da Vinci was a master of light and shadow. He perfected the technique of chiaroscuro. He wrote that the greatest artist excelled in his ability to portray not the object itself, but the way the object was defined by light and shadow. Bill was a master of light and shadow. And in this new art course, he's going to take you beyond paint and brushes and painting techniques. Bill is going to teach you the deeper principles of creating great art. In Leonardo's only published book, "Treatise on Painting," he spends a lot of time discussing the one technique which he believed set artists apart from each other. The student who is desirous of making great proficiency in the art of imitating the works of Nature, should not only learn the shape of figures or other objects, and be able to delineate them with truth and precision, but he must also accompany them with their proper lights and shadows, according to the situation in which those object appear. Leonardo was one of the most observant of all the Old Masters. His notebooks, which he did not publish in his lifetime, are full of his experiments and observations on the effects of light and shadow. He was very specific in his advice to painters on how light should be portrayed in works of art. My family took a week-long vacation in the Black Mountain area of North Carolina a couple of months back. We stopped for breakfast at a small family run restaurant. 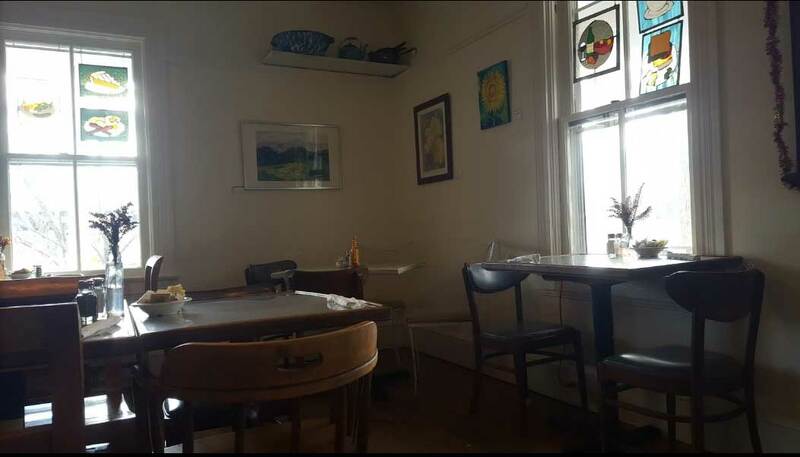 It was one of those cozy places where you felt like you were eating in your own dining room. The staff was friendly, the service was great and the food was delicious. On the walls were a lot of paintings by local artists -- many for sale. They were lovely, but one grabbed my eye and held it. As I looked at the other paintings, I realized why I reacted to that particular painting. 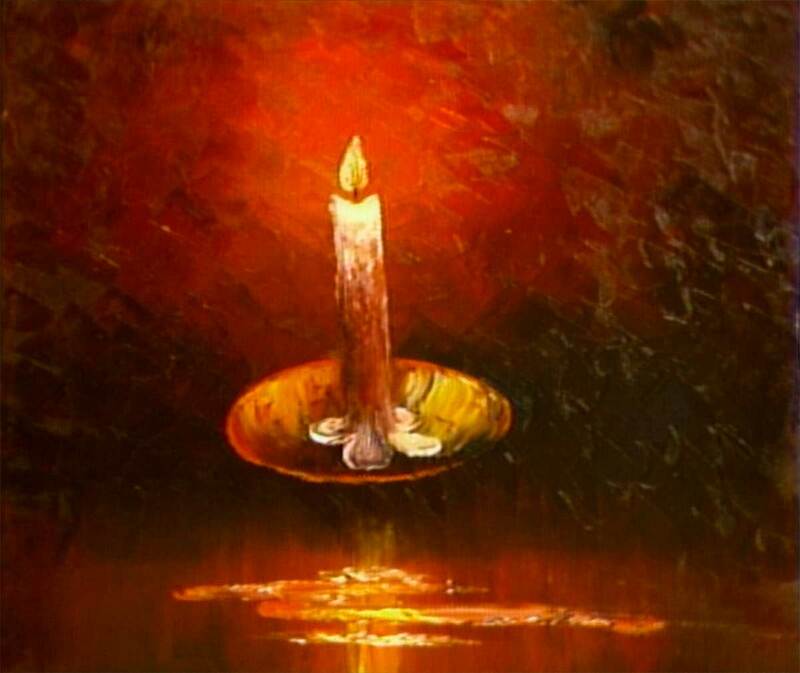 It was the only one that the artist had taken the time to show light. As a result, her painting was alive and vibrant while the other paintings were flat and dull. That experience affirmed what Bill emphasized in his videos that you, the artist, must become the leader of light. You must portray light as it would appear in Mother Nature. It makes your paintings stand out from the rest. More importantly, though, you are continuing a tradition that goes all the way back to the Old Masters. There seems to be a misconception that beginners, especially, aren't capable of learning the principles of great art. That's not what Bill believed and that's not what we at Alexander Art believe either. That's the reason why this third course in our "Building Essentials" series focuses on this most important principle of creating great art. It's a simple principle that anyone can learn. Master this technique and your art will stand out in the crowded field of so-so paintings. Alexander Art developed the concept of our "Building Essentials" series as a self-study program. We wanted to take aspiring artists from the basic techniques of Bill's method of oil painting to his most advanced principles. "Building Essentials" I - the beginner course - is designed to introduce new students to Bill's methods. It is as a continuation of Bill's "Fundamentals" art course. "Building Essentials" I reinforces and expands the techniques students learn in "Fundamentals." "Building Essentials" II - the intermediate course - is designed to take students to the next step in their art learning. Bill introduces principles like perspective and color so that students can move beyond basic techniques to more creative art. "Building Essentials" III - the advanced course - introduces you to the important principles of painting that most art courses overlook. To learn these principles most students must take lessons with a master artist. These lessons can cost thousands of dollars. The five videos (and one bonus video) featured in this course were never broadcast on television. They were filmed, originally, to be distributed on videotape and, eventually, DVDs. The fact that they are all at least one hour (or more) in length also kept them off the air. They simply would not fit into a twenty-eight-minute segment. Bill never filmed multiple part segments. Since these are longer videos, Bill is able to go deeper into the principles he is teaching as well as share new techniques he didn't have time to explain on his television show. In "Mountain Vista," for example, Bill shows you how to create contrast and depth in your paintings. Here's a neat little video clip where Bill shows you how to create the illusion of depth in the painting. Can you see how Bill created the illusion of depth by making the river look like it went behind the trees on the left? What Bill just demonstrated is only one of many principles contained in this course. What do we mean by "principles?" Anyone can teach you how to paint a fir tree with a fan brush. A technique, though, doesn't really matter. It's not the point of creating art. What matters is "principle." And that is exactly what Bill is teaching in this new course. By now your technique should be pretty good. If not, we recommend you check out our other courses for that. Now we want to take what you've learned and teach you why you learned those techniques. If you can't paint the fir tree, you can't create the forest. Bill is going to teach you how to create the forest. Once you are able to do that, your art takes on new meaning. As an artist, you become empowered to be able to communicate with your viewer in a new and more exciting way. The point of art is not to create another landscape or another pretty flower. The point of art is to move your viewer to see your vision of the world. The point of art is to help your viewer see what you see and, therefore, gain a better understanding of the world in which we all live. Five core videos make up the essence of this advanced course. Each video is segmented into lessons that will help you focus on the important ideas Bill teaches. These lessons are longer than in our other courses because, by now, you should be well grounded in the techniques of painting. 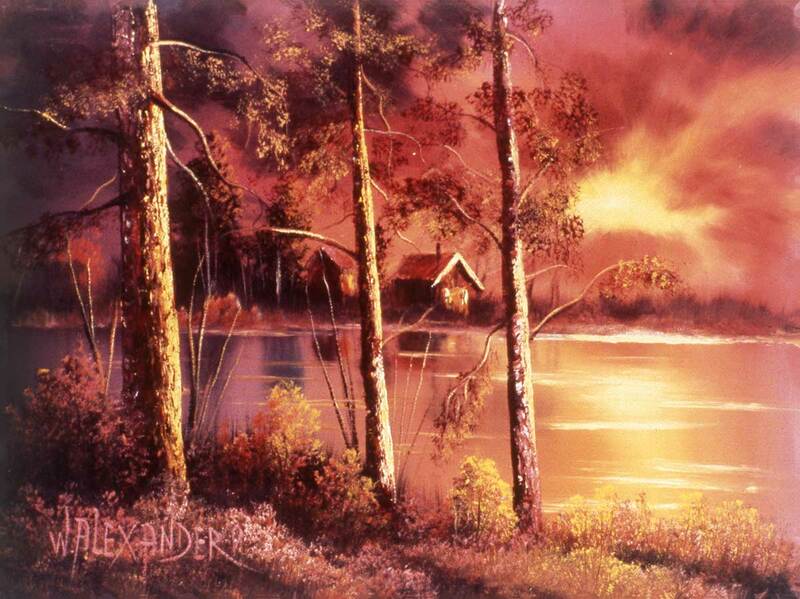 For over thirty years, Alexander Art has been helping folks just like you learn the principles of great art. We have helped people unleash their creative power and experience the joy and wonder of art. As we move into the twenty-first century we are ramping up our commitment to you, the artist, to provide you with the best training possible. Let's take a look at a short clip from some of what you'll learn in this course. There is a simple three step process you need to learn that will help your painting get better every time you go to the canvas. When you buy, you own it for life! Upgrades and additional content for free! Releasing your creative power and becoming the artist you’ve always wanted to be. If you’re ready to take your art skills to the next level, then please pay attention to this next step. When you click the button below, you'll be taken to a checkout page where you can sign up for this course at our very special pricing. Enter in your personal information and indicate how you want to pay for it. We take both credit cards and Pay Pal. If you'd prefer to talk to a real live human being, please call Dawn at (360) 686-1102. She'll be happy to answer any questions you might have. She can even walk you through the process of signing up, or she can take your information and get you enrolled in the class. You can also email us at support@alexanderart.com. No one has ever shown you how to be successful as an artist. Our new course will show you step-by-step, exactly how to paint with Bill's remarkable wet-on-wet method. No one has ever offered to mentor you. Through our private forum and our online workshops, we'll give you the opportunity to get feedback on your paintings in a private, nurturing environment. No one has ever believed in you like we do. 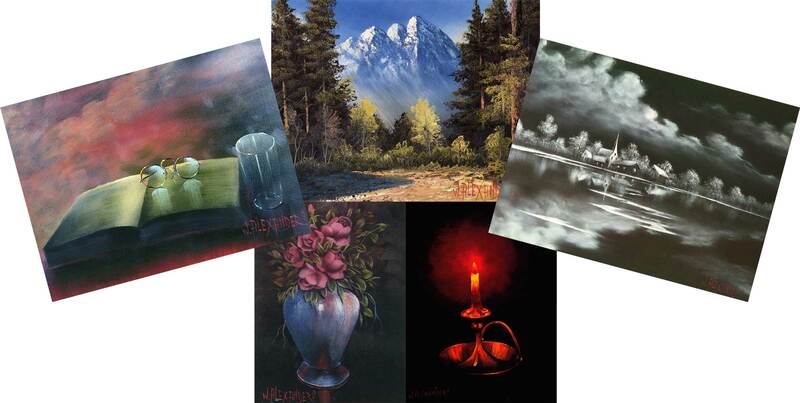 If you have the desire to learn, Bill can teach you to paint. All you need to do right now is take that first step. Just click the button below and start creating great art. I want to create great art!